Shankar Mahadevan is an Indian and a multiple National Film Award-winning music composer and singer. He learned Hindustani classical music and Carnatic music in his childhood and started playing the veena at the age of five. 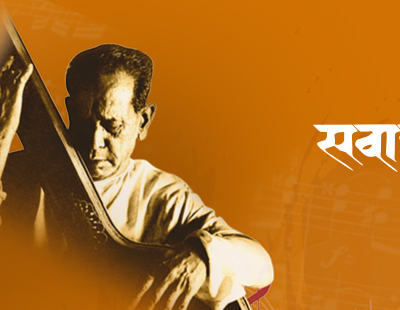 He studied under Srinivas Khale, a well known Marathi music composer. A prominent star in the Kodambakkam film industry, he gained further recognition upon the release of his first music album, Breathless, in 1998. He enjoyed a successful run with the fusion jazz band SILK with Louis Banks. Hailing from rich traditions of Dharwad, Kumar Mardur has had his training from his father Pandit Somanath Mardur, a renowned Hindustani Classical Vocalist of Kirana Gharana. Kumar leaves the audience spellbound with pure and aesthetic presentation of ragas, crystal clear taan patterns and command over laya. He has showcased his art in countless festivals including Pt Ganayogi Panchakshara Smriti Sangeetotsav, Sawai Gandharva Festival, Dr. Mallikarjun Mansur Smriti Sangeetotsav, Malhar Utsav, Bangalore.